Pic! Muvhango’s Innocentia Blesses Herself With A New Merc! After graduating with Honors earlier this year, it’s reaping season for the young actress who just joined the girls with AMGs gang. 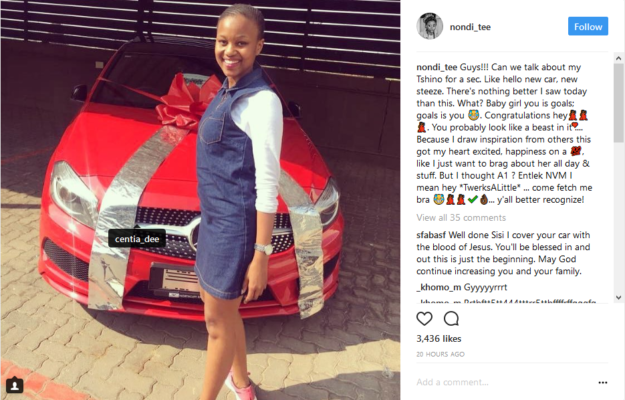 Innocentia’s friend and Muvhango co-star Tshinondiwa took to Instagram sharing a photo of Innocentia with her new car along with a congratulatory message.